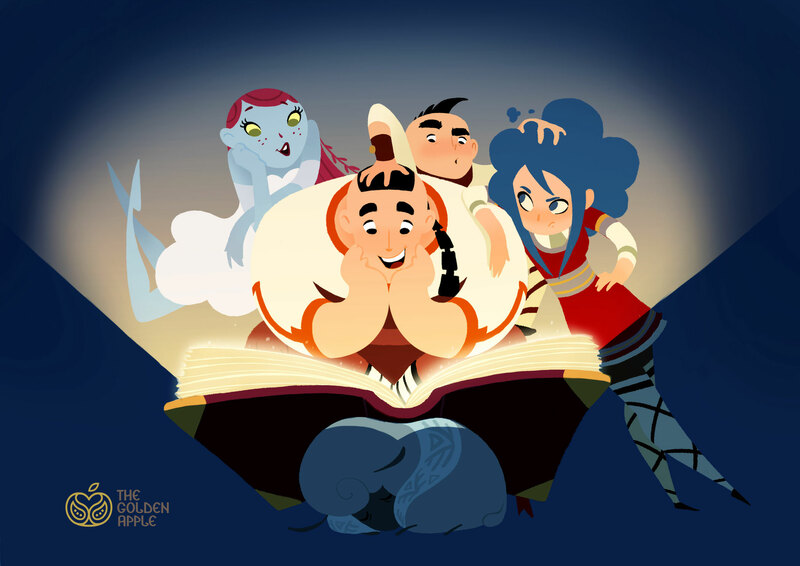 Behind the Scenes: "The Golden Apple" - a guest post by Zmei Studios - Just How Cool Is That?! One of the main reasons of creating this website was the fascination with the Journey behind the scenes; the hidden paths known only by creatives where Imagination roams undisturbed before finding its way through creative expression. 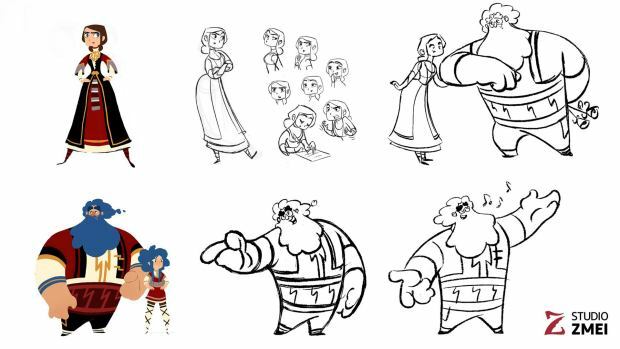 Being a Bulgarian myself, I am most excited to give you this exclusive behind the scenes look of "The Golden Apple" - the first animated series based on Balkan legends - which is currently in production by Zmei Studios. The information in this text was kindly provided by the studio team. 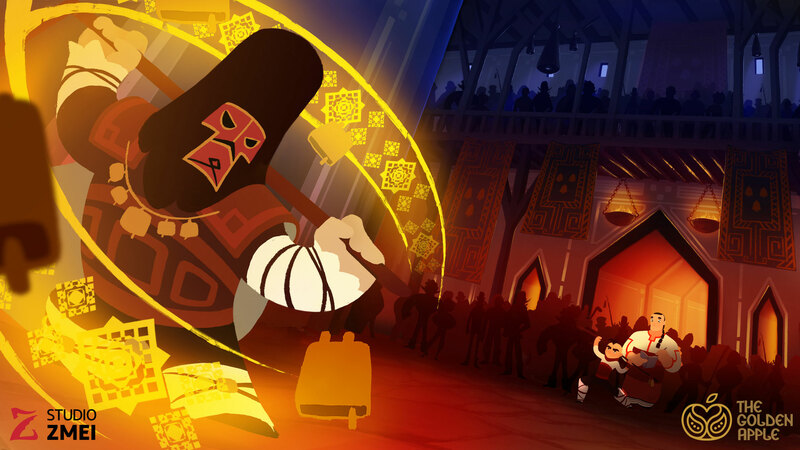 The Golden Apple is a fantasy animated series based on Balkan legends and folklore. Every season consists of twelve 24-minute episodes. The series is developed simultaneously in both English and Bulgarian, with the option for more languages. · The story follows the adventures of four teenagers – the daughter of a storm spirit and a human woman, accompanied by a water nymph (Samodiva) and two human brothers, trained to fight evil with their magic bells called “chans”. 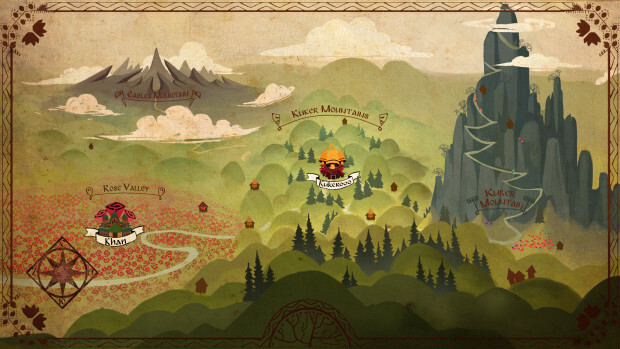 The children venture across a mysterious world filled with magical creatures in search of the legendary Golden Apple which appears once in a hundred years and has the power to fulfil wishes. We are telling a modern original story, set in the mystical world of Balkan legends. 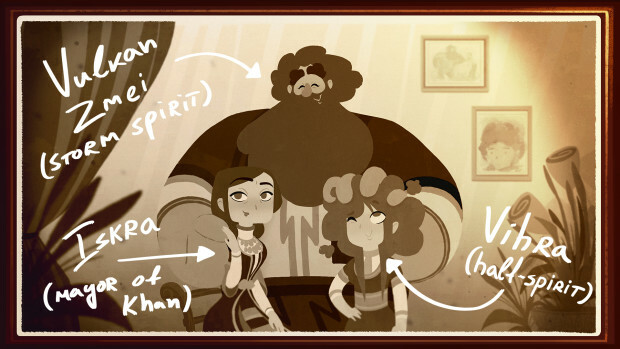 Our story has the same heart, morals and lessons as these legends – we just use animation to show them, and contemporary, relatable conflicts to make them accessible to a wider audience. 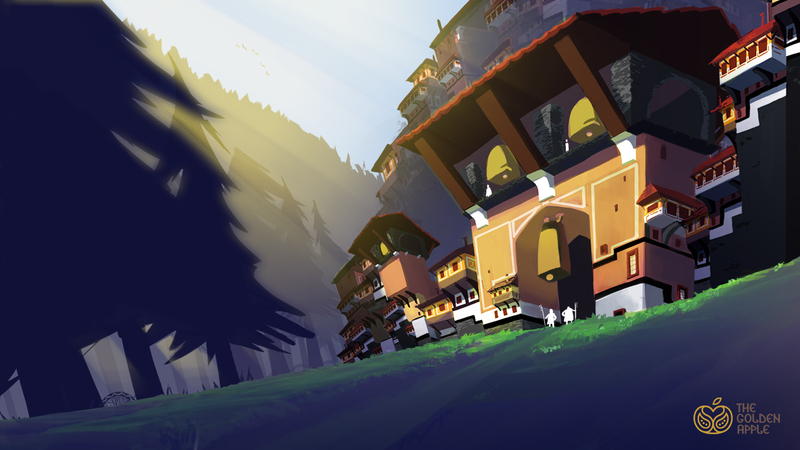 We are an international team of professionals in the fields of animation, storytelling, design and folklore and we have been developing this project for more than five years. We want to show the most compelling elements of Balkan culture in a modern, engaging way and help preserve these exotic and unknown legends before they die out. Balkan folklore is passed down through songs and spoken stories – the tales are rarely written down or illustrated, apart from some academic texts. These legends promote lessons and morals that are widely applicable to the modern world. Sadly, these stories are slowly perishing, along with the old people who carry them in their traditional songs and tales. The first 3 years of the project were mostly devoted to research – designing the visual style of the series, travelling around small villages and immersing ourselves in the culture of the Balkans, talking to old people and identifying the core elements of the story. The fantastical creatures in Balkan folklore represent nature, and as such can be both helpful or harmful, depending on how people treat them. Our folklore is based on the deep understanding of the elements and the interconnection between humans and their environment. 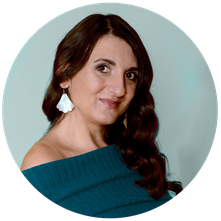 Balkan folklore is focused on bringing people together, and creating a collective in which people rely on each other to overcome the obstacles that come their way. 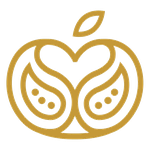 This idea became central to the plot of The Golden Apple series – each of our main characters is motivated not only by their personal desires, but by the wish to help their community. The characters are forced to work through their differences and discover that the only way to achieve their goal is by sticking together. In the first 3 years of the project, we worked entirely in our spare time. In 2015, after a successful crowdfunding campaign, we founded Studio Zmei and for the first time ever we had the opportunity to work full-time on the project. The direct result was the short film Legend of the First Kuker Warrior, which serves as a prequel to the main story in the series. 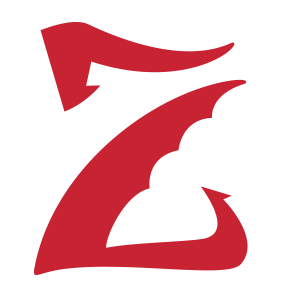 We have also done additional extensive research and visual development, design work and character designs. 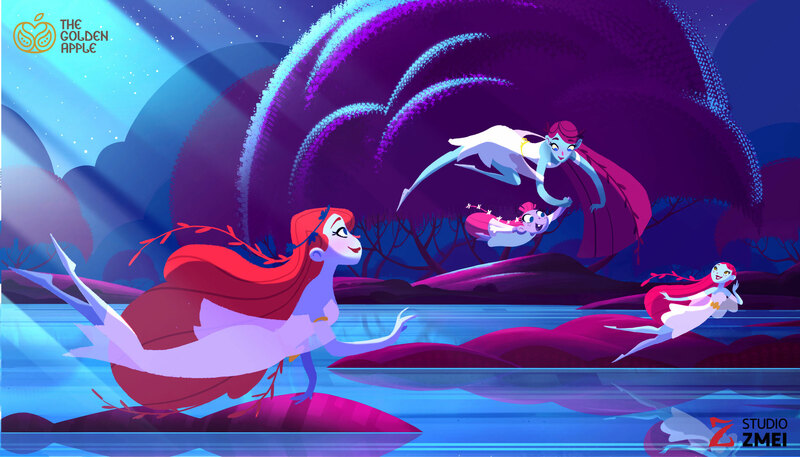 The style of the series is inspired by the iconic style of the American illustrator Eyvind Earle. We decided to combine this familiar style with traditional Balkan graphic elements, architecture and costumes. The more we dive deeper into this wild world, the more these elements will become apparent. With this approach, we aim to walk a thin line between the familiar and exotic. 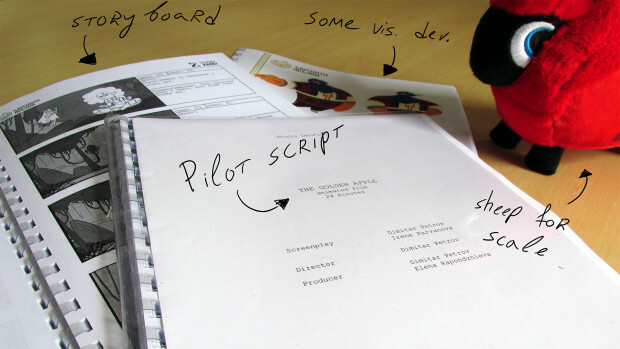 The first (pilot) episode is completely scripted and we have even started working on parts of the storyboard! The music for the series will be composed by the amazing George Strezov. We have already worked with George on the trailer for the series and our short prequel. He composed an amazing soundtrack, combining a classic movie orchestra, a Bulgarian folk choir, traditional folk instruments and a Japanese tayko drum. 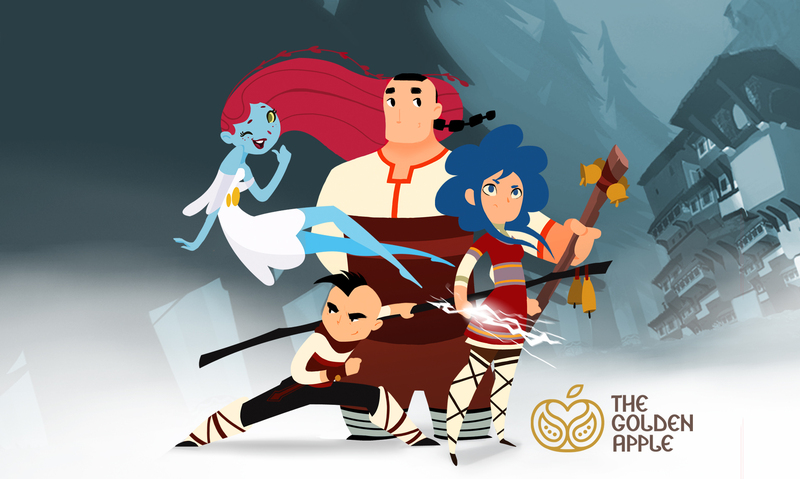 After a successful pitch at Cartoon Forum 2016, “The Golden Apple” series have attracted massive distribution interest and our team is hoping that a pilot episode will unlock the purchase of a full season. The Bulgarian National Television has become a co-producer of the project, providing 20% of the funding for the pilot episode. They are showing interest in airing the entire series, but only after they see a finished pilot. This is why we decided to launch a crowdfunding campaign to raise the remaining 80% of the budget for the pilot episode. The campaign is currently open for contribution. Any support from your side - be it financial or spreading the word - is beyond appreciation. Thank you for joining us on this tour! We hope this is only the beginning to an exciting adventure in the Universe of The Golden Apple! 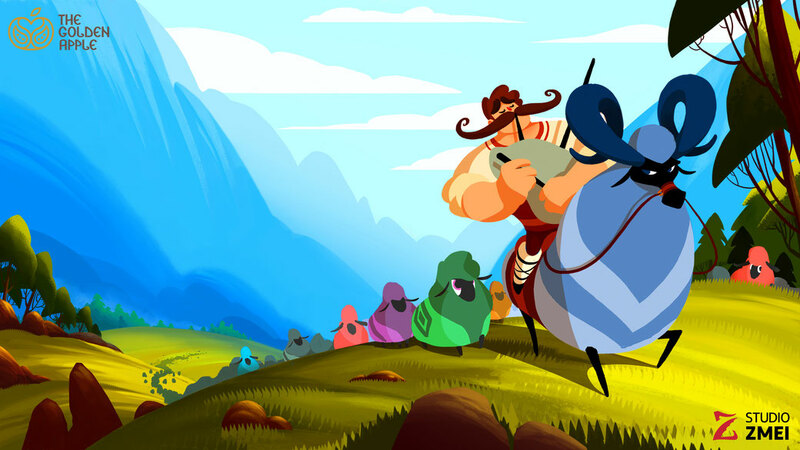 A cloud-based international animation studio with an office in Sofia, Bulgaria. Founded in 2015 by Dimitar Petrov, author of the the award-winning "Legend of the First Kuker Warrior" illustrated story book.  He has previously worked on Cartoon Network’s “The Amazing World of Gumball”. The team is currently spread across six different countries – Bulgaria, UK, USA, Germany, Italy and Greece, uniting professionals with experience in some of the top animation studios in the world. For more information and contacts please visit the official website or the Facebook page. You can reach Producer Elena Rapondzhieva via e-mail or mobile: +359 887 961 977.